Dale always tried to do what was best for his group, even if it meant speakingagainst them. To him, everyone's life was important and deserved a chance.After debating with a less convinced Rick, a frustrated Dale left the safetyof the Farm to patrol the grounds and gather his thoughts. Out of thedarkness, Dale met a gory end by Walker disembowelment and eventual mercykilling at the hands of Daryl. 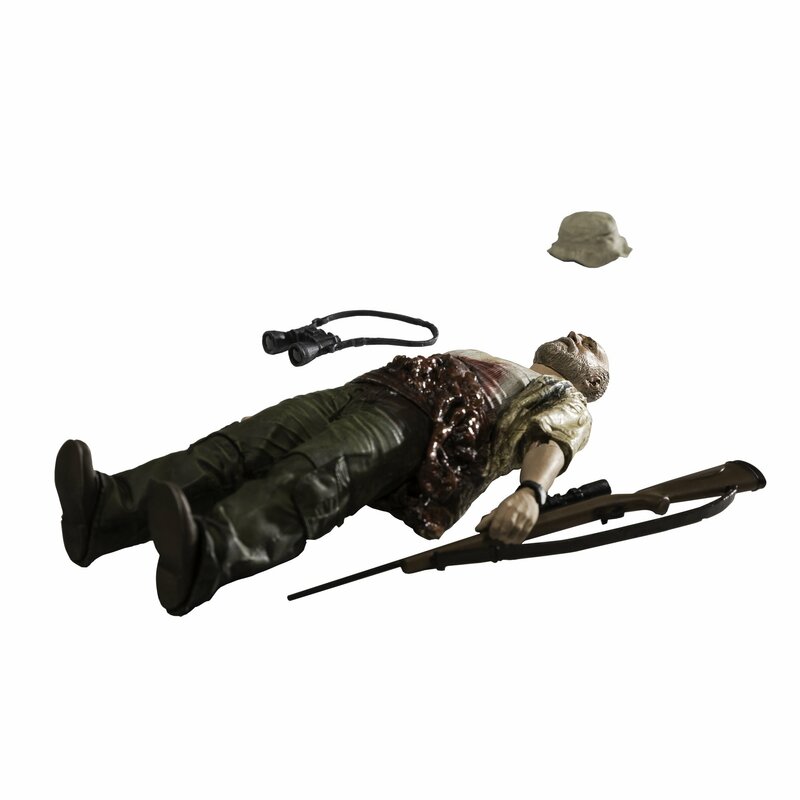 This figure depicts Dale's moment of death,disemboweled by the roaming Walker.